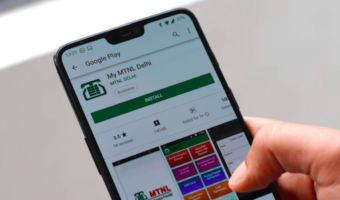 The Indian consumers last heard Coolpad’s name back in October 2018 when the brand had launched a new smartphone. After a couple of months of absence from the Indian market, the manufacturer is back to the field with its latest budget offering which is the Coolpad Cool 3, a device which seeks to give a competition to Xiaomi’s most competitive budget based smartphone in India right now, the Xiaomi Redmi 6A. Like the Xiaomi smartphone, this phone by Coolpad stands out as it comes out to be the first device with this price tag along with Android 9 Pie software and a dewdrop notch. Without further ado, we would like to walk you through the specifications and features of the Coolpad Cool 3. The Cool 3 features a 5.71-inch HD+ display, and the highlight of its design is the dewdrop notch at the top. What makes this phone truly stunning is the price tag at which it offers the latest design available in the market for smartphones. 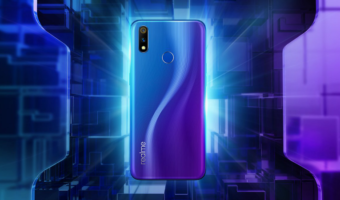 Under the hood, the phone comes powered by the Unisoc chipset which also lends AI and AR/VR compatibility and the processing unit pairs with 2GB of RAM and 16GB of internal storage. When it comes to camera and imaging, the phone sports a dual rear camera setup which boasts of an 8MP primary sensor along with a 0.3MP secondary sensor on the rear. On the front, the phone sports a 5MP sensor which can be used for selfies or video calling. As for authentication, the Cool 3 ships features like Face Unlock and fingerprint scanner both. Lastly, the phone packs a 3000mAh battery. To give you an overview of what the Xiaomi Redmi 6A offers at the same price range it’s worth noting that the smartphone ships features like a 5.45-inch HD+ display with an aspect ratio of 18:9. The MediaTek Helio A22 chipset powers the phone and it comes paired with 2GB of RAM and 16GB/32GB of internal storage. The different variants of the phone include 2GB/16GB and 2GB/32GB. The phone rocks a 13MP main camera, 5MP selfie camera, 3000mAh battery Android Oreo-based on MIUI UI, among other things. 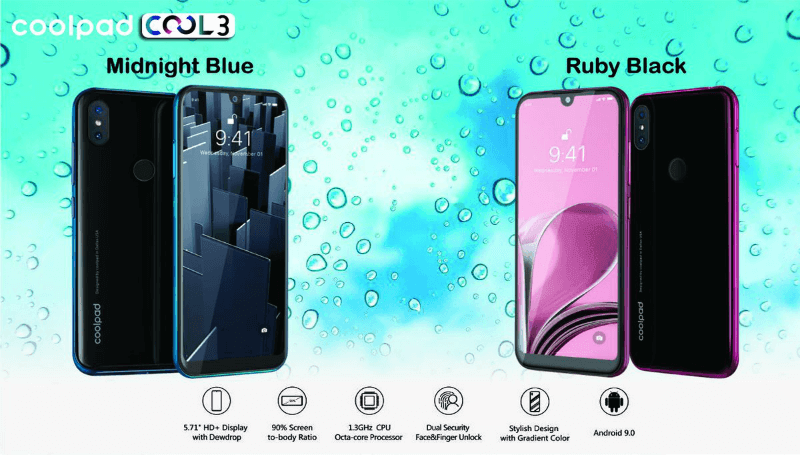 Chinese manufacturer, Coolpad has announced that the Cool 3 will be available in the colours of Midnight Blue, Ruby Black, Ocean Indigo, and Teal Green and the phone will be available with a price tag of Rs 5,999.